The maritime industry is much bigger than most people think. 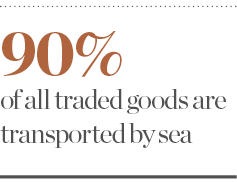 Not only does it account for the transport of more than 90 percent of all traded goods, but the vessels that traverse international waters also have the potential to cause significant damage in the form of oil spills, pollution and the transport of invasive species. While new sustainability regulations have addressed many operational aspects of shipping, the building and decommissioning of vessels still has a serious impact on both the health of workers and the environment. The image of major ship recycling destinations – such as Bangladesh, India and Pakistan – is still generally quite negative. Ship recycling has been considered the most dangerous job in the world, but it can be done safely and in an environmentally friendly manner, even with a low-tech approach. With this in mind, Henning Gramann established GSR Services in 2011 to improve recycling practices in the dismantling of disused ships. European CEO spoke with Gramann to learn more about the role shipping has to play in global sustainability. How has ship recycling changed over the years? Ship recycling has existed since mankind first began using ships. But in the years since the Second World War, the industry has largely moved from Europe to Taiwan and, subsequently, the Indian subcontinent. 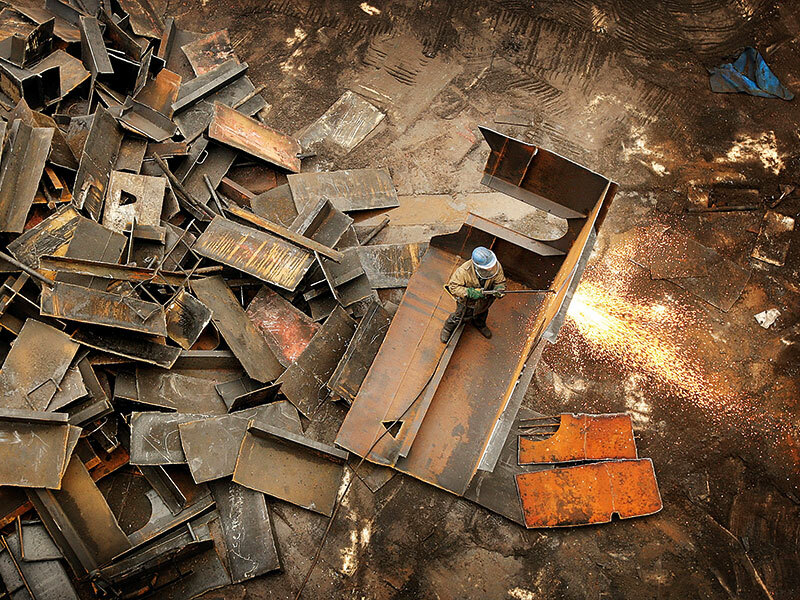 This is a clear sign that once a country is developed, ship recycling becomes unfashionable. Labour and environmental regulations usually become stricter in parallel to a country’s economic growth, making ship recycling less profitable; there will always be countries with poorer working conditions willing to offer better prices. In the last few years, however, we’ve seen a change as the International Maritime Organisation (IMO) developed a new agreement called the Hong Kong Convention, which sets internationally applicable standards. Even though the convention hasn’t come into force yet, major players in the industry have already started to live up to the requirements, and we have seen a major change on the recyclers’ side. Not all recycling yards have looked at this developing market, though, which means good and bad performers are often direct neighbours. As such, it’s no longer appropriate to judge the standard of ship recycling by country; instead, standards must be distinguished between individual yards. How does Europe compare to other regions in terms of ship recycling? Europe has no significant ship recycling capacity and the few we do have are mostly only capable of handling ships of up to 200 metres. The majority of recycling candidates are much bigger, and of the few EU yards that could accommodate bigger ships and hold a valid permit, most are not active. Therefore, Europe has neither a good market share nor the capability to change this unless new, bigger yards open up. Further, any ship recycling facility can apply to be on the European list of approved ship recycling facilities. And while European yards are on this list due to their location, their foreign counterparts have to undergo a stringent approval process, one that even some EU yards might struggle to comply with. The EU is introducing a new regulation for member states. What impact do you think this will have? Under the relatively new EU Ship Recycling Regulation, ships flying the flag of an EU member state must use ‘safe and sound’ recycling facilities that appear on the European list of ship recycling facilities. Circumventing the EU legislation is very easy, but it does not necessarily mean the owner is going for substandard recycling: the owner can still enter into a contract with a good yard that complies with the Hong Kong Convention but has not applied for the EU list or is still awaiting EU approval. In short, the positive impact the EU regulation will have is that ships under the EU umbrella or that visit an EU port must have an inventory of hazardous materials (IHM) by the end of 2020. That is the most important document in planning the recycling process of a ship. Despite this development, challenges and shortcomings persist. What are the most prominent? The biggest shortcoming is a lack of demand for sustainable ship recycling from shipowners, as many don’t care or simply don’t know about it. As the Hong Kong Convention hasn’t come into force yet, the Basel Convention on the Control of Transboundary Movements of Hazardous Wastes and their Disposal is still applicable. As this is truly a land-based and not ship-specific legislation, it is very difficult to comply with. Nearly all ships going for recycling are in breach of the Basel Convention for practical reasons and, therefore, act illegally. Unfortunately, grabbing the low-hanging fruit sometimes appears more attractive to shipowners than acting in favour of a proper, ethical solution. How can these issues be resolved? And how does GSR work to resolve them? First of all, the political debate on whether the so-called beaching method, which handles nearly 80 percent of recycling tonnage, is appropriate or not must come to an end. These requirements are fixed in the Hong Kong Convention, which should be used for distinguishing between good and bad ship recycling. This will make decisions easier for those who have the power to decide where their ships are recycled. It will also establish fair competition based on quality, independent of the recycling method used. All of the different methods have specific advantages and challenges. Once a common understanding is reached, it becomes clear where to sell ships for responsible recycling. Until this is achieved, only individual efforts and decisions can be taken, but there are guides available that offer sound and independent advice. As for GSR, we are a knowledgeable and trustworthy business partner. We have all the abilities to prepare ships for sustainable ship recycling, from IHMs via last voyage planning and contracting with recyclers to the supervision of ongoing recycling activities at reasonable costs. We’re not compromising on what we believe is right, as our aim is to change the industry for the long term, not just provide a quick fix. What developments in ship recycling can we expect in the coming years? The EU legislation will mean we see more IHMs. That is a good foundation, as long as the IHM quality is right for setting the basis of safe ship recycling. We have actively supported the development of green and safe ship recycling in India for many years and have now reached a capacity of around 100 ships per year. The experience gathered during these projects enables us to achieve the same standards in even less-developed infrastructures. Green capacity will also increase further to become the norm, rather than the niche market it is today. Additionally, the processes will become more industrialised, requiring higher investments but also achieving higher productivity and revenue at year’s end. For me, it’s important not to reduce the number of workers, but to enhance the working and environmental conditions in order to achieve a truly sustainable future.